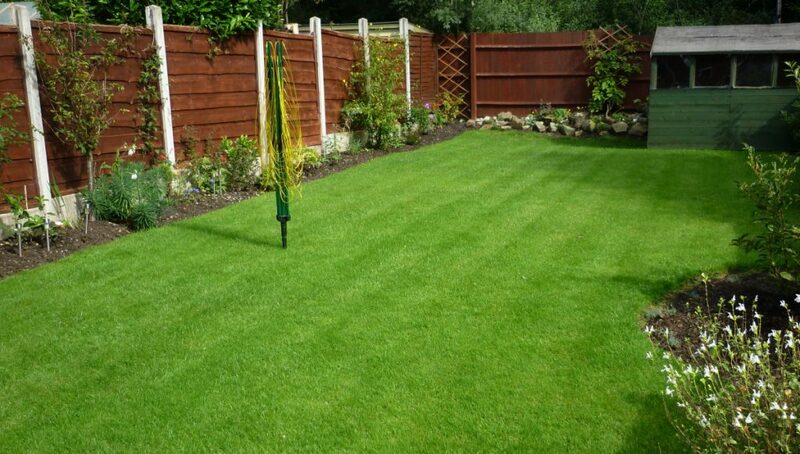 Home » Why Choose The Lawn Man? Your lawn is unique. The Lawn Man’s lawn care service will take the time to assess your lawn, taking note of many factors such as soil pH, turf density, shade issues, lawn diseases, insects, weeds … even pet damage. Having advised you of your lawns current condition and gained an understanding of your priorities a customised lawn care programme is created designed to produce a lush, healthy, weed-free lawn for you to enjoy. You have specific ideas about how you want your lawn to look. The Lawn Man will work with you to understand what you want to accomplish with your lawn, and detail a time frame of how long that may take to achieve. You will receive a personalised programme designed to give you the results you’re hoping for. The programme will usually consist of three to six annual weed and fertilisation treatments and some curative or cultural treatments maybe recommended. Depending on the condition of the lawn and the issues found. In addition to the standard range of year-round treatments, The Lawn Man also provide additional treatments not offered by other lawn care services in the area. Seaweed biostimulants and drought management products as well as time-proven classic treatments such as overseeding and top dressing. These all go that extra mile to helping you achieve the fantastic lawn you’ve always dreamt of. Use of the very best weed and fertilisation treatments that are available. The weed and fertilisation treatments are designed to give rapid, long-lasting results. In order to achieve this, specifically formulated fertilisers are used which are supplied by world leading turf fertiliser manufacturers. This, combined with a range of the latest herbicides (weed killers) can bring about a fantastic improvement to any lawn. One of the main advantages of the service is that the products used are the best available to the lawn care industry. They are just not available to the general public in shops and garden centres. DIY lawn care can be a difficult, time consuming and frustrating experience. Products sold in shops can be very low quality. The Lawn Man’s service means that weeds in your lawn will be a thing of the past! Your lawn and it’s location is unique! Throughout the year your lawn treatment programme is modified, taking into account the seasonal needs of your lawn and the current weather and climatic conditions. Unlike so many other lawn care companies, the same cheap fertiliser is not applied all year round. You will know exactly what has been applied, and why. After each visit, you will receive a report about the current condition of your lawn. This will highlight any issues that are of concern and also advice about additional treatments available to help your lawn cope during difficult times. Also, the service includes instant notification of treatment completion by email and recommendations for enhanced or remedial treatments. A service not offered anywhere else. Most lawn treatments are only effective when applied at the right time. Applying a herbicide in the rain will have little effect. Applying a granular fertiliser during a drought may damage your grass! The Lawn Man does not give you a date for your next treatment months in advance. Doing so means there is a chance of you wasting your money on an ineffective treatment. Put your lawn in the care of a true expert who has been trained at agricultural college and has a full pesticide application licence to store, handle and apply all professional lawn care products. Hundreds of lawns are treated each month so you can be sure of experience and the correct and safe application of all treatments. You can also be sure of the rapid identification of any issues with your lawn, some of which you may not have been aware of yourself. The Lawn Man’s service is not a contract, you are in control every step of the way. Your lawn will grow and thrive according to your goals and specifications. You are free to stop your programme at any time. You will not be pressured to sign up to any payment scheme for treatments that you lawn may not need. The majority of customers switch after being disappointed by another lawn care service, and they’re glad they did. In fact, the biggest complaint that most of my new customers have is that they didn’t switch sooner. Read my glowing testimonials page or have a look at my Google local page reviews or my reviews on Freeindex. All lawn care products and services come with a satisfaction guarantee. If you are not completely satisfied with the results of a treatment, the issue will be resolved free of charge. Don’t spend another year wishing for that perfect lawn, let The Lawn Man tailor a plan to make it beautiful … guaranteed!